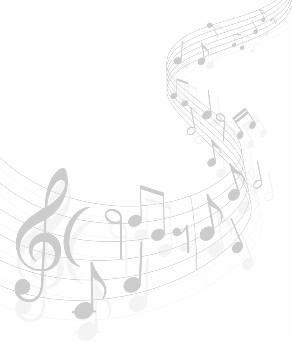 Private Music Lessons for Everyone! 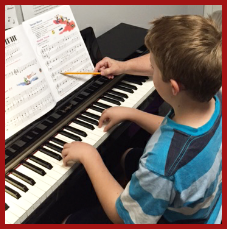 Students and Parents are Raving About Our Music Teachers! Highly-Qualified Teachers. 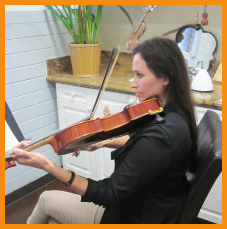 Our music instructors have extensive teaching and performing experience. Their proven track records have earned them a following with continual referrals. 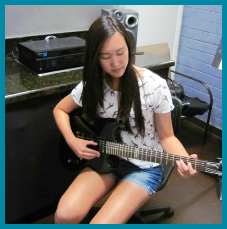 Whether you’re picking up an instrument for the first time or you want to master one and go on to perform professionally, we’ll tailor our teaching style and pace to help you achieve your individual musical goals. One Location. 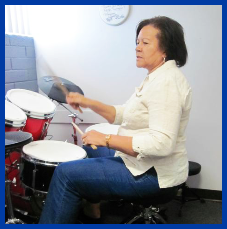 With lessons offered in drums, guitar, piano, violin and many other instruments all at one location, a family can take lessons in multiple instruments on the same day, saving time and money. Convenient Hours. We’re open until 9:00 PM on weekdays and from 9:00 AM to 5:00 PM on Saturdays to accommodate your busy schedule. New Studios and Comfortable Reception Area. Enjoy our newly-renovated facility with six music studios and a large, well-lit reception area full of comfortable seating, FREE WiFi, magazines, and bottled water on tap. Special Events and Programs. Our students and their families have the opportunity to attend our special music clinics where we’re privileged to have renowned musicians visit us to share their musical talent, inspiration, experiences, and tricks of the trade.